The gender gap in wages is a result of men’s overtime on the job. The problem is that men are overworking, and are expected to, so women have to pick up the slack at home and so work less. This leads women to lower career paths. Although it is expected that women work fewer hours, it is much harder for men to turn away from work in order to devote more time to their families. It is socially acceptable for women, and even expected. If women don’t care for their children, they are bad mothers, and are judged harshly. However, when women do care for their children, they can’t put in as many hours at work (and overwork) and so their paid careers suffer. In order to change the pattern of overwork, the managers must change corporate culture. Few companies are willing to take this leap. However, even when they do, women still end up carrying the weight. 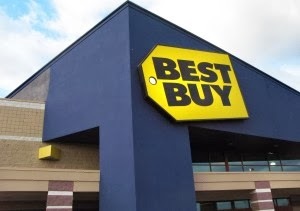 For instance, Best Buy changed their policies so that people could work as few hours as needed, as long as they got the job done and showed up to meetings. People could use the flex time for caring for kids. The policy may have had the best intentions, and had good outcomes. It did give families more time to deal with appointments and attending kids’ activities, but the outcome was gendered, with much of the kid-work falling on the shoulders of the mothers, while fathers used most of their flex time for work related stuff. Men were concerned about how they would be perceived and were hesitant to believe this policy really had no negative consequences, while women were more likely to embrace it because it did offer women a chance to work full time and deal with all the parenting-related duties. However, the program was a tremendous step for family-friendly work policies and equity in job positions and pay. Note that I put it in past tense. Best Buy shut down ROWE this year. This is a sad turn of events, because the program had real potential to change workplace culture.